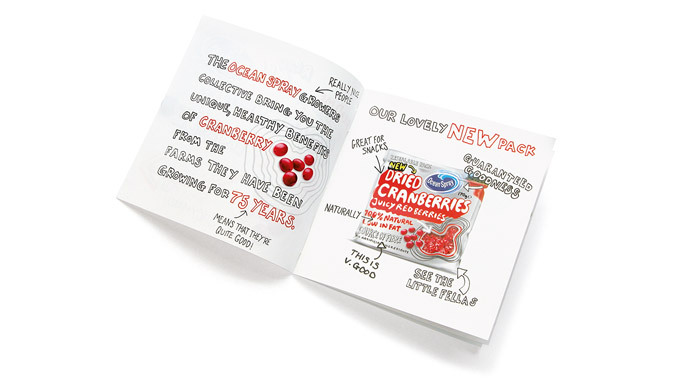 Re-introducing a world-famous drink as a snack. 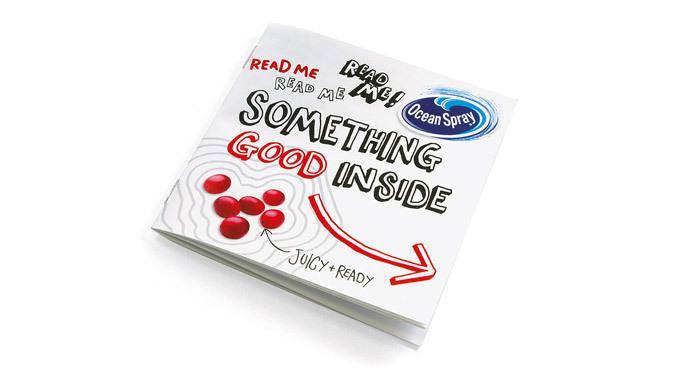 Ocean Spray asked us to help their dried cranberry product break out of the baking aisle. 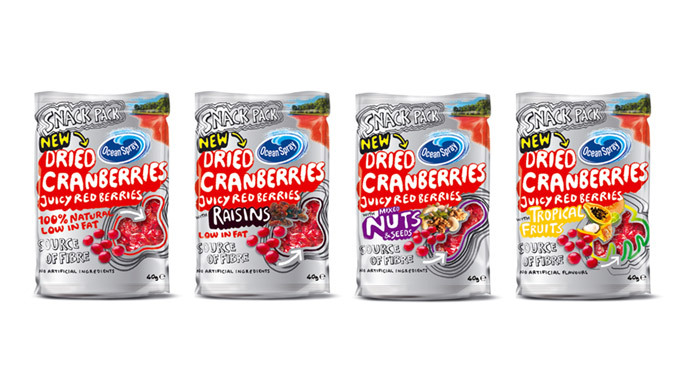 Whilst Ocean Spray already established the health benefits of cranberries through their drinks, they were relatively untested by consumers as a snack option. 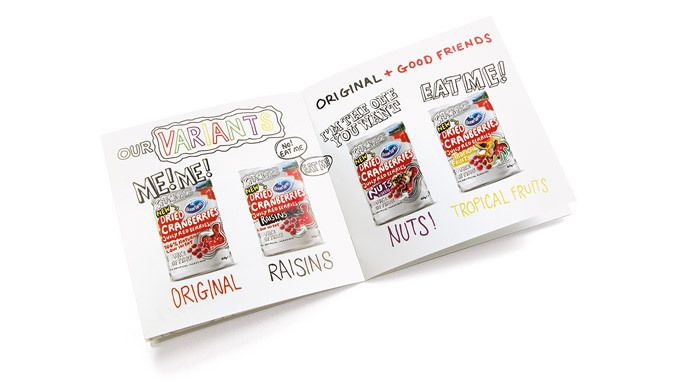 The on-pack communications needed to shout out to consumers to encourage trial and compete with more traditional choices. 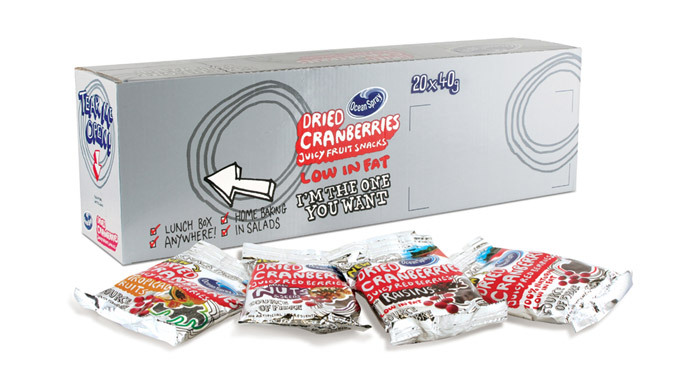 We decided to clearly showcase the product for what it is, a bag of cranberries, with playful and inviting on-pack graphics and messages. Health benefits are heroed on pack, including a see-through window to encourage trial. We sourced and worked with the first company to produce foil-laminated packaging that featured a window. We also sourced the first stabilo pack design. 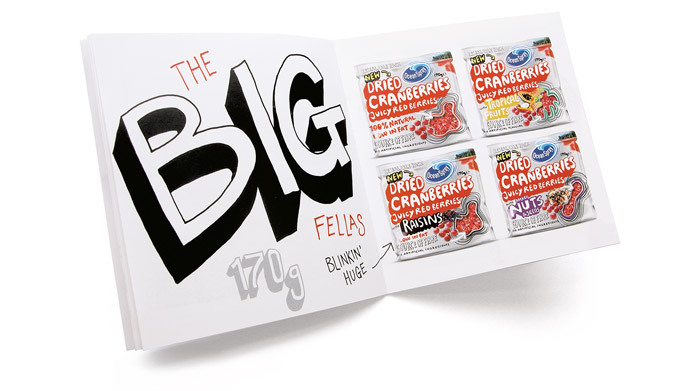 Consumer insights, brand strategy, brand design, packaging design, multipacks & SRP.